When a radial ingress situation occurs, moisture will enter the cable by permeating through protective layers or through a weakening or hole in the protective sheath. Once water enters this way, it travels down the cable in a longitudinal way. When capping is done ineffectively or joints are made poorly, water can enter a cable (at underground jointing enclosures, for example, and if joint pits are flooded). There are two common types of waterblocking applications for wire and cable including dry waterblocking and gel waterblocking. In a gel-filled cable, any space in the tube that is not occupied is filled with impermeable gel. Using this type of waterblocking material can cause many challenges for installers in regard to time, cost and the mess created by the product. Having to clean gel from fibers can slow down the installation process and cause significant mess for technicians operating machinery, splicing or terminating this type of cable. In contrast to the inefficiencies experienced with gel waterblocking, there are many benefits to the use of dry waterblocking that are now widely recognized. In addition to the absence of sticky grease, dry waterblocking offers a major reduction in time needed to prepare a cable for splicing, a decrease in cable weight, less risk of loss of good adhesion between the outer reinforcing yarns and the sheath, and no need for solvents or cleaners to prepare the cable for splicing. These types of cables incorporate water-blocking components (tapes, yarns, or coatings) to prevent longitudinal water transit in the cable core. The components add another layer in the cable, under the jacket. It's an integrated fiber that is treated with a cleanly applied SAP paste and wrapped on the core of the cable. If the cable jacket is breached, and water or moisture accesses this layer, it will swell up and block the water (just as the fiber in a diaper absorbs moisture and wicks away from the outer layer). The fiber has no effect on the performance of the cable or on the connectorization, and can double or triple the life of a cable where water is a problem. A common misconception among wire and cable manufacturers is that the higher absorption value for an integrated fiber, the better. When in reality, typical absorption levels for yarns coated with SAP paste are in the range of 25-30 g/g and those with a higher absorption range offer no real value. The reason for this is because in a voltage cable, and much less in an optical fiber cable, there is no space for a SAP treated fiber to expand when absorbing more than 10 g/g. Anything over that absorption range would remain without effect. The most effective waterblocking technique depends on your installation environment. Cables that are buried or installed in water-filled ducts will be subjected to the continuous threat of moisture and water penetration and must be manufactured with an effective barrier. Such cable requires a central strength member that is typically made of braided steel wire. In aerial installations where metal-free cable is required, strength members are typically created using an insulating material such as SAP treated swellable aramid yarns. Some premier industrial yarns and threads available are made from Dupont™ Kevlar® fiber. 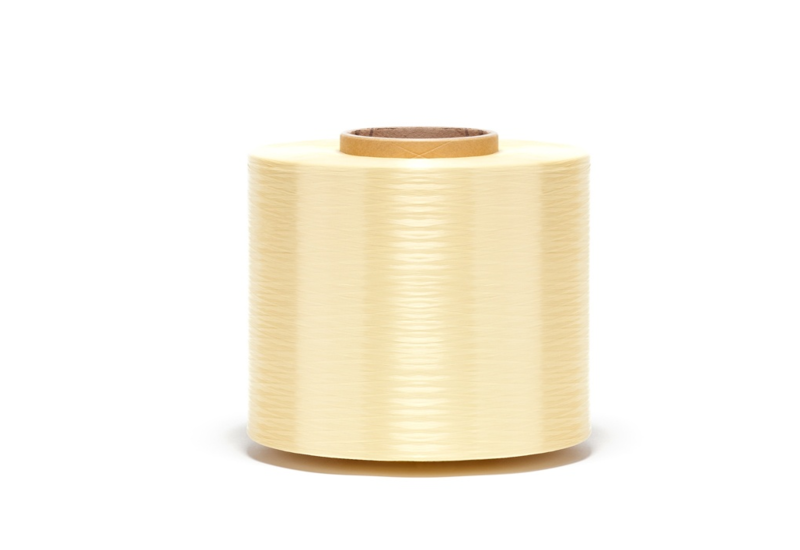 As the pioneer aramid fiber, DuPont™ Kevlar® is specified for some product applications with a long qualification process, however, some industrial wire and cable applications would benefit from an alternative aramid yarn and thread. In fact, did you know that in some applications, alternative para-aramid yarns can be used as substitutions for Kevlar® at a lower cost? These alternatives include Hyosung’s Alkex® and Kolon’s Heracron®. Each alternative para-aramid is available in different forms including medium to high tenacity, high elongation and high modulus. All alternative forms can achieve comparable, or in some cases identical, results as Kevlar®. Are you looking for a cost efficient waterblocking solution for the manufacturing of wire and cable? Service Thread’s extensive inventory of multi-filament yarns is available for quick shipment for standard applications, and rapid turnaround for new product development.